Why Washington? Why Cumberland MD? George Washington visited this area at important points in his life and career. Washington began and ended his military service in Cumberland. His first visit was in 1755 as Colonel George Washington, serving under Braddock in the French and Indian War. In 1794, as the Commander in Chief, he reviewed the troops gathered at Fort Cumberland to put down the Whiskey Rebellion. 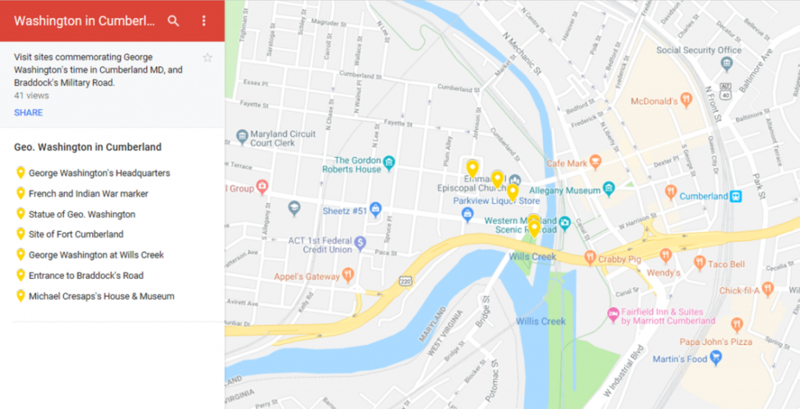 Visit all these places and more when you are in Cumberland to attend this year’s Whiskey Rebellion Fest, Allegany Museum in Cumberland, Friday June 7, 6 to 10 pm.